I don't often get seriously emotional at the movies, or if I do then it's generally one set emotion, sadness, rage, joy...however in sitting through Balibo I ran the gauntlet of several emotions, from frustration through to rage through to sorrow through to utter impotence. That six people could be murdered by the Indonesian militia during the invasion of East Timor in late 1975 staggers me, not to mention the over 180,000 Timorese that were also murdered, raped and tortured. That the murderers of both the Balibo Five and Roger East have often been named but never been held to account frankly disgusts me. A war crime is a war crime, but, as we're seeing even today, it's a difficult thing to prosecute a war crime when there's essential resources involved, such as oil. God, what a week. Launched the Blaq Books blog, scoped out the store and began work on the bookshop. As such there wasn't as much time left for reading, but I did get a few things in and finished. 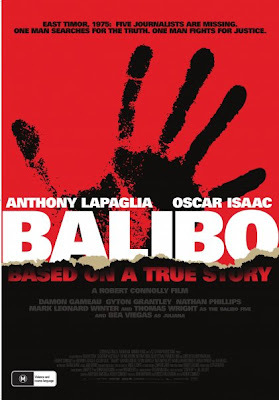 I know I'm early, but I'm off to see the movie Balibo this evening and we've a heavy weekend lined up, so I might not have the time to write this tomorrow. Back Issue #35. Villains issue. Interesting, albeit too brief, Pro-To-Pro interview with Mike Zeck and J.M. DeMatties about Kravens Last Hunt. J.M. is a prince and I've yet to find anyone who doesn't like him. Other than that the usual BI contents, articles that I generally skim and a decent Mike Vosburg interview. Today is always a bit of a bittersweet day for me because it's the day where I always remember the birthday of Jim Mooney. Today would have been cause for celebration as he would have turned 90 - a milestone in anyone's book. 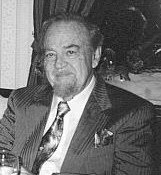 Sadly Marvel and most other people are busily celebrating the passing of others and appear to not be bothered with someone such as Mooney, who began drawing comic books a mere 18 months after the launch of Action Comics #1, worked at DC from the 1940s through to the late 1960s, returned to Marvel in 1968 and remained there until the early 1990s and drew his last comic towards the turn of the last century. In doing all of this Mooney helped build the bedrock upon which other men built their own careers on, so I thought I'd help fill the void a bit and remind people that, yes, artistic giants such as Mooney did walk upon this planet and they are remembered and are still appreciated.